Elkann said Fiat Chrysler was ready to play a part in the "new and exciting" era for the auto industry. AMSTERDAM -- Fiat Chrysler Automobiles Chairman John Elkann gave an upbeat outlook for the year after a tricky end to last year and a slow start to this one. Speaking at the company's annual shareholder meeting on Friday, Elkann said FCA was on track to meet its targets. 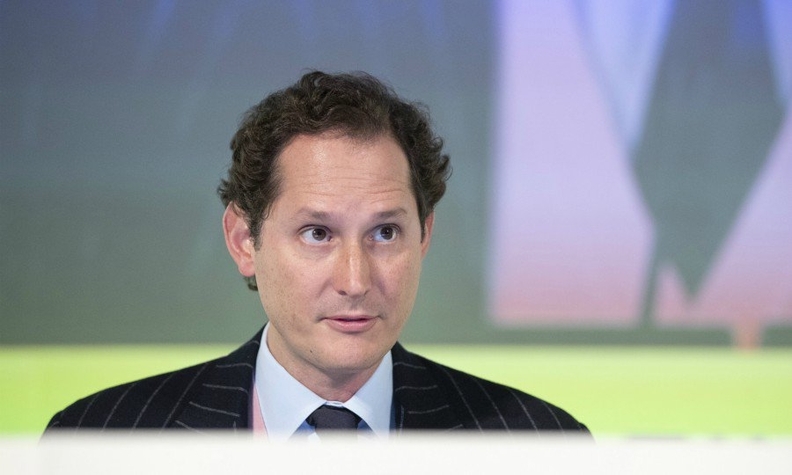 "Despite the (fact that the) second part of 2018 included trade difficulties in some areas that the persisted in the first part of this year, we forecast a significative improvement in the second half of 2019," Elkann told shareholders. FCA CEO Mike Manley said the group's operating performance this year would exceed the record results posted in 2018. Manley has sought to persuade investors that the 2020 goals -- set by late boss Sergio Marchionne -- were still achievable. "I am confident that we will successfully deliver on our guidance for this year," he said. He said he expected a continued strong performance in North America, the carmaker's main profit engine which accounts of almost 80 percent of core earnings, with higher margins compared to last year. In February weaker-than-expected guidance for 2019 profits and industrial free cash flow raised doubts about FCA's longer-term targets. Elkann - a scion of Italy's Agnelli family that is FCA's biggest shareholder - reiterated the family was prepared to take "bold and creative decisions" to help build a solid and attractive future for the automaker. He said FCA was ready to play a part in the "new and exciting" era for the auto industry. Recent media reports have said Renault could be eyeing a bid for FCA while in March the president of Peugeot family holding company FFP said he would support a new deal and suggested FCA was among the options. After the death of Marchionne last year, speculation about the future of FCA has intensified. Automakers around the world are looking to tie-ups to cope with rising competition, the rise of electrification and the threat of a trade war between the United States and China.